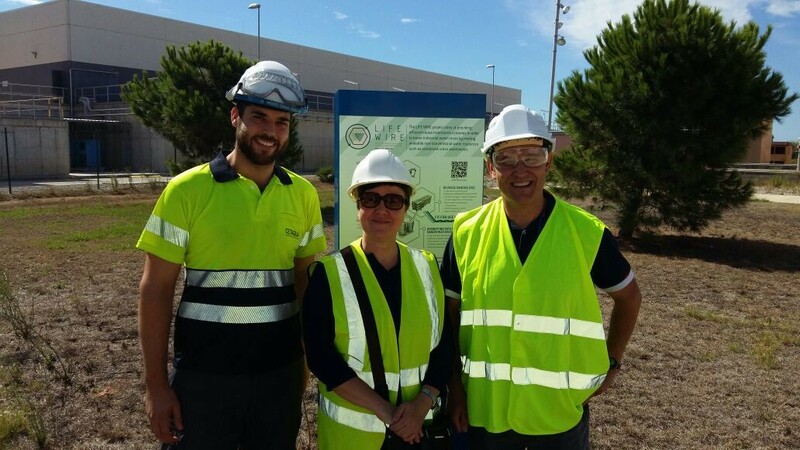 The LIFE WIRE’s prototype installed at the WWTP of El Baix Llobregat (El Prat de Llobregat, Barcelona) has received 3 visits during the last week of September. In total, 8 people were introduced to the LIFE WIRE concept and the functioning of its prototype. One of them, Prof. Dr. Nalan Kabay came from Chemical Engineering Department of Izmir University, Turkey. Nalan Kabay is a member of the independent International Committee for Ion Exchange and has long experience in working on water reuse and membranes. The rest of the visitants were members of SUEZ, CIRSEE and Barcelona City Council.